Stay refreshed in the heat with the Heller Misting Fan. It’s mist feature gives you the extra splash to stay cool. 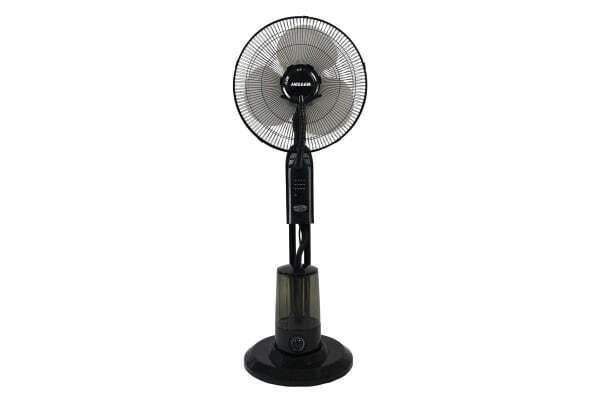 Save on your power bill with the Heller 40cm Misting Fan with Remote. Why run the air conditioner all day when you can feel a refreshing breeze when you need it for a fraction of the cost. Simple to operate – simply add tap water into the tank, turn it on and start feeling the difference! With an included remote, you can control the fan with ease.